Saturday July 20th 2019 will see the 8th edition of the Hopkins Vineyard Triathlon at Lake Waramaug , mark your calendars and join us! 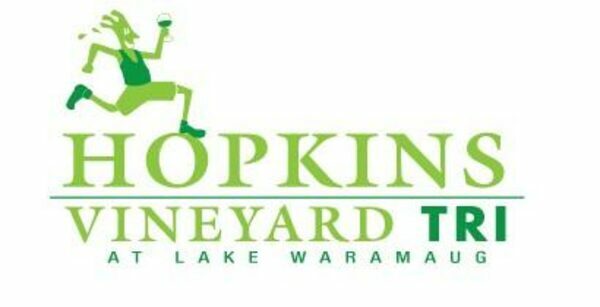 Saturday July 21st 2018 will see the 7th edition of the Hopkins Vineyard Triathlon at Lake Waramaug , mark your calendars and join us! Registration on Sat July 21st starting at 6am. Race date for 2017 is Saturday July 15th, 8am start. Lowest entry fee offered through Feb 15th, plan and commit! Best of luck in 2017! 2017 Race Date TBA. SAT JULY 15th 2017! Thanks for joining us, your great attitudes make it a a pleasure to bring this race to you, and we hope to see you again next year! Join us on Saturday July 16th, 8am start! Great Venue, reasonable start time, tough course but oh-so-worth it, racing to a Wine and Cheese Festival at the end!! Just a quick note, next year's race date is Saturday July 18th, 2015. Great performances, Great times! Thank you all for another stellar year! Register early for next year, this race sells out. 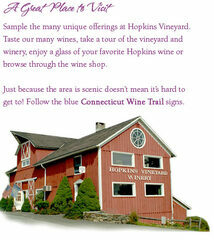 We are looking forward to another exciting year frolicking throughout the Hopkins Vineyard property. A spectacular swim start from lakes edge, a great rip around Lake Waramaug on a fast bike ride, a run winding around the hills overlooking the lake and through the actual vineyard fields from which the grapes that create the wines you will enjoy are grown, this stunning little romp ends at a winery set upon a hill as if from some great imagination. 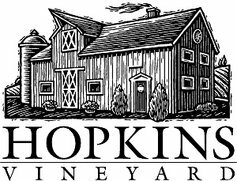 This gem of a race in a unique venue was made possible by the Hopkins family, 225 years of history here in Northwest CT. www.HopkinsVineyard.com It is my great pleasure to get to work with such a warm and gracious family. That feel pervades the event, start to finish. More to come... with space limited to 300, this sold out quite early in its first year, so register now and stay tuned! Hope to see you! For those who have raced the old triathlon here, I understand it’s natural to think that this is simply the old Lake Waramaug Tri revived, but that’s not the case. 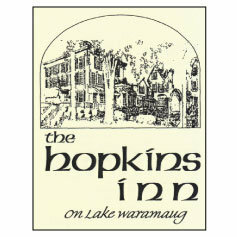 This is something that has been in the works with the Hopkins family for years now. 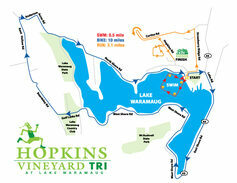 I did help start the Lake Waramaug Tri version 1.0 back in 2000 and this race will offer something different. Inevitably, there will be some similarities in the race course. 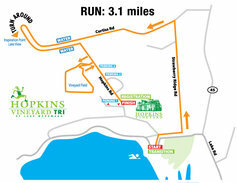 The current plan calls for the bike course to be roughly the same as the original. 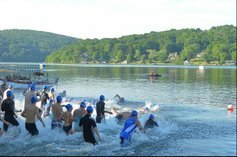 The swim will be in Lake Waramaug, starting and ending at Transition area. Part of the run will feature an excursion bringing you into the actual vineyard fields, just to get everyone in the mood for wine and to enjoy the spectacular terrain on which the winery sits. The 3.1 mile run will be mostly road, with the short manicured cross country section around the vineyard fields being roughly ¾ of a mile of the total. The finish will be at the winery itself, where we’ll be greeted with wine, artisan cheeses, fresh fruit and veggies for starters. There will be more substantial fare too, to be determined. 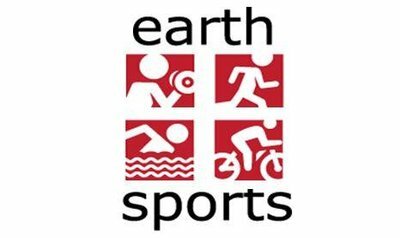 Post race, It’s basically going to be a little wine festival for all of us triathletes, live acoustic music is planned under the main tent, vendors with tri gear, an overall fun social scene post race is what we’re aiming for. We’ll also have fresh made iced tea and other soft drinks to please all. We are considering an open invite post race for the Wine Festival, open invite meaning those of your friends or family who may not be able to be there for the morning race start will have the option to join for the early afternoon festivities. We hope that you'll join us for a morning of racing and an afternoon of fun at the Hopkins Vineyard, register today to reserve your spot! Sorry, no refunds or transfers. RACE START 8am - Full Race Info going out to registered athletes Wed July 15th. Race is almost full , Don't wait!